We are SO HAPPY TO HAVE YOU WITH US! After years of not participating with Groupon because we didn't feel the fit was right for this community, I am happy to say that we have struck a very comfortable offering for all involved. I never wanted to just pile in thousands of students (in a blatantly money making venture) under the guise of "let's expose folks to yoga". I've always wanted to be able to invite a small number of folks who have never been to this studio, to come practice with us and see what make this Bikram Yoga studio so different. It's HOT! : Bikram Yoga is supposed to be performed in a room at minimum 105F degrees and 40% humidity. This room is always almost exactly at these numbers. The heating system is one of the finest in the world. The floor is heated, so the room stays 105f degrees from ceiling to floor. If a studio has high ceilings and heat rises, the floor is 10 degrees cooler. It's hot here because this is supposed to be challenging. This experience allows us to "practice" who we are when life gets very challenging (sickness, heartache, financial stress, addiction) - not when we have a hangnail. The room has LOTS of Fresh Air: The Yoga Room is equipped with a CO2 sensor that knows exactly when to bring in fresh oxygen and take out the CO2. If you're practicing in a hot room without a state of the art exhaust system, it can sometimes feel like you're having trouble getting enough air. If breath is fundamental to your Yoga practice, why shouldn't you have the freshest air available to breath? Cleanliness: Bikram Yoga Evanston is crazy clean! The studio is cleaned everyday at 3pm and every evening at 9:30pm. The Bikram Yoga experience is sweaty. The only way to keep the studio clean, is to clean it often and we do. Our flooring isn't carpet. Carpet has a backing that allows sweat to move under the carpet and create mold. Our carpet is called Flotex and it's imported from England. It's actually a much like a linoleum with a fiber - it has no backing to it. It's rated higher for traction when wet than dry. Because we use radiant heat flooring and purposely leave an hour between every class and 2 hours or more between every 2 classes, the floor is dry in about 20 minutes and the exhaust system exchanges the bad air in the room for good air. Our students wipe down our rental Yoga Mats after each class and hang them to dry, where they are sprayed regularly with a solution of Tea Tree oil, Lavendar oil and water throughout the day. If you see something that's not clean, talk to Stuart the owner - he'll clean it. Before attending a "Recorded" class. All Bikram Yoga recorded classes are done in a room that's 105f degrees and 40% humidity. They heated room, serves to warm the body, allowing for deeper and safer stretching. The heat also helps prevent injuries and rids your body of toxins while relieving stress and tension throughout your system. Bikram Yoga recorded classes were created as a more "advanced" experience for the members of this community. More advanced students in this community experience a deeper mediation. Our focus on asanas (postures) is to create deeper meditation. Before attending a "Fusion" class. Community: Take advantage of the exceptional folks who participate and create the Bikram Yoga Evanston experience. 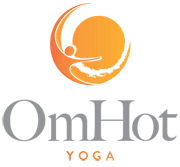 Many "Hot Yoga" studios and Bikram Yoga studios have "dummied down" the challenge of the experience, primarily because as more people create less challenging experiences for Bikram Yoga students, it becomes easier to say "Oh I do Bikram Yoga!" If you climb a hill and I've climbed many, I'm sure the view is lovely and it was a nice hike. If you've climbed Mt Everest, I'm sure the view was nothing less than BREATHTAKING and the experience was LIFE CHANGING. If you want to climb a hill that's nice. If you want to change your life come hang out with us. It's what we do - without excuses and without conversation. We are so happy to have you join us! !